Is your favorite eatery making the grade when it comes to food safety? After working in medicine for 40 years and seeing far too many patients with food-borne illness, Dr. Harlan Stueven worried that many restaurants were not. So he developed a system to track inspection scores for restaurants. Dining Grades converts public data from health inspection records into a letter grade system that users can find on a searchable map. Diners can also rate a restaurant or report it for suspected food illness. Those claims will be forwarded to the relevant health department and to the restaurant if they choose to be a member of the website for a $99 annual fee. Stueven, an emergency physician and toxicologist, saw a need for a consistent rating system using unbiased data since laws can differ from state to state. "We all presume that we're going to a place where we're going to eat safe food and we know that's not the case," Stueven told news website DNAinfo. The website was featured at the National Restaurant Association show held in Chicago recently. 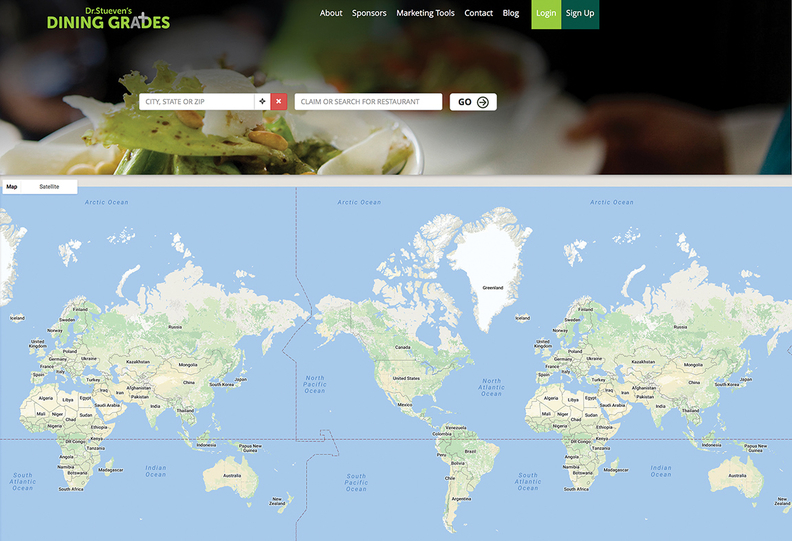 The site includes restaurants from across the U.S. and parts of Canada, and will soon also be available in the U.K. Dining Grades hopes to offer restaurants decals for their front windows if they achieve an A rating for three years in a row.